You may be wondering what fly fishing has to do with training bartenders, service staff or any employee training of any kind and why I'm adding this here. I constantly look for, and find, strong lessons & inspiration from many unexpected places, so here is Guest Blogger - Robert Bilotti telling his story RE: the importance and consequences of employee Training. Recently on vacation, I went fly-fishing for the first time. For those who have seen the movie “A River Runs Through It”, I can tell you it’s as peaceful and zen-like in person as it is on the big screen. It was a guided trip and – needless to say – I enjoyed it. Afterwards I asked the guide how much it would cost to outfit me to get started fly-fishing on my own. He told me anywhere from $500-1,000. Not pocket change, but I was intrigued enough to visit two the local outfitters. Both are national chains who specialize in outdoor and sports gear. In the first store, I wandered around myself at first and was overwhelmed by the choices. I honestly could not even tell which gear was for fly-fishing (if you haven’t guessed, I’m not about to host my own outdoor show). After about fifteen minutes, I found a store associate and asked if they sold fly-fishing gear and where it would be. I added somewhat proudly, “I just went fly-fishing for the first time and really liked it, though I have no idea what I need to get started.” He smiled and very kindly pointed me to a wall along the edge of the store. It was right where he said it’d be but I still had no idea what I was looking at. After another few minutes of staring stupidly, I looked around and – seeing that the associate had disappeared – I left the store. In the second store, I did the same exact thing. I found the fly-fishing gear but I could have been looking at surgical tools it was so foreign to me. I found a store associate and delivered my same speech. “Oh really,” he said, “Where did you go?” I told him West Virginia and though he had never been there (or even fly-fished I later found out) he walked me back to the spot where the gear was. Once there, he asked me several questions and – realizing we both were fly-fishing novices – he went and found a fellow employee who was more knowledgeable about fly-fishing and the gear. About an hour later, I walked out with a starter kit and $660 less in my bank account. Before leaving, I sought out the first associate (after turning me over to the more knowledgeable person, he had moved on) and thanked him. Being in the training biz, I was curious so I asked how he learned to handle customers so adeptly like he did me (even though he didn’t “make the sale”, if it wasn’t for him, the store would have lost my $600+ just like the first store did). He shrugged and said the company had training that he attended. I asked him was it sales training or maybe customer service training, and he said he honestly didn’t know. 2) and then either help them or find a co-worker who can. Smart, I thought, given the variety and volume of gear in these monster stores, no one associate could possible be an expert in all areas. As I said, I make my living though training; I have for over 15 years, and even I question the effectiveness of some training, but – when done right – the impact of a formal, comprehensive, strategically-sound and holistic training program is undeniable – and measurable. Just do the math, I spent over six-hundred dollars in little over an hour. I’m sure not everyone does but even if it’s a fraction of that, multiple it by how many customers per day, in how many stores, and the return on an investment in training can be staggering. Do some organizations waste money on training? There’s no question they do. Part of the reason, in my opinion, is the training department gets side-tracked and loses focus on what is the true focus of the organization (which also makes it more difficult to calculate the ROI). Get your training department focused back on the bottom line, design a strategy, and execute (not sure how? contact us) and you’ll never have anyone question the necessity of training again. Robert Bilotti is Managing Director of Novita Training, an award-winning employee and franchise training and development firm. Novita works with corporations and franchisors in designing custom-made training programs that increase performance and operational efficiency, decrease costs and boost revenue. What are your thoughts or stories about ..
1) The importance of training staff? 2) Have you have any good or bad experiences like Robert? (DVD Disc # 1 And Disc # 2) Step by Step & Slow Motion Instruction to learn 240 flair bartending moves. Listen to our Team as we discuss each move and talk you through it as we demonstrate each move 5 times. It's like we are actually right there with you, coaching & giving you our secrets. ( The original cost of these 5 volumes, if bought separately for $30-$45 each, was $180 ). You just can't beat our prices or the quality of our teaching. NO SPILLING & NO SLOWING DOWN SERVICE!! Yes, It's Possible & We'll Teach You How. 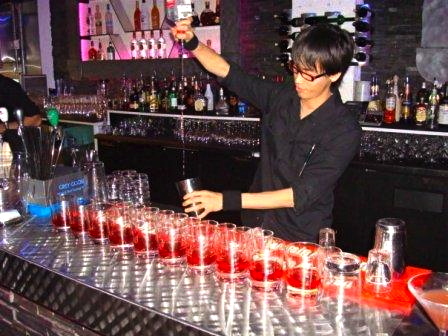 Difficulty of Flair Bartending Increases with Each Volume. The one series you really need from the team that has helped introduce the world to Flairtending. Tens of Thousands of bartenders have learned with this DVD Series. Widely acknowledged as having Trained More Flair Bartenders Than Any Other Source. Bar & Beverage Business Magazine said it was "The Most Compete Training Program Available"
Bar IQ Says, "Scott Young remains atop the charts as one of the most reliable sources of quality training material on the Internet. So if your beverage operation has lost some of its vitality and could use a serious infusion of pizzazz—along with a significant boost in revenue, for more information visit his website at extremebartending.com." Nightclub & Bar Magazine says Scott Young & Team are "The World’s Leading Ambassadors of the Flair Bar Arts"
Wow, what a fantastic way to wake up today. I had recently been in contact with Mr. Dan Scoggin, who is a bar & restaurant industry giant & legend. I asked him if he please would consider reading my new eBook and tell me what he thought. As busy as he is, he said he would take it to his boat and take a look. He has just written a book about the founding principles of Friday's and their use today. Release date not yet known. Love your practical down to earth approach. 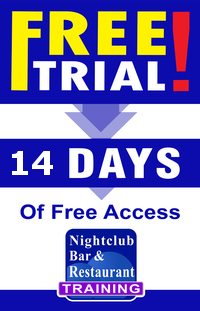 I am sure you are helping a lot of bartenders both experienced and inexperienced. I wish you continued success. "I highly recommend Scott's book "199 WAYS TO INCREASE YOUR TIPS!'. At Friday's we were known for a great bar. Scott's tips will save you years of trial and error and will put you in the money from the start. Just remember it's about the basics and being 'real'. Daniel R. Scoggin - Founder of T.G.I. Friday's, Inc. I want to sincerely thank Mr. Scoggin for taking the time out of his busy life to read my book and for everything he, and the company he founded, have done to improve our industry all around the world. He is truly a visionary and pioneer. Is Bartender Training That Important? I’ve Heard Lot’s Of Bartenders Don’t Have Much Or Any Training. Veteran barman Ivan Chew makes a round of shooters. It’s true. Many people with bar jobs didn’t have any experience or formal bartending lessons at all. Some places hire & promote from within. Some places want to be fresh and open to their special way of doing things. If you don’t have at least a foundation knowledge of bartending, you usually won’t get hired. The more training/knowledge you have will increase your odds of getting a bar job quicker and succeeding at a much higher level. Some people think any kind of training makes you look weak or not smart enough to learn on your own. It’s an ego thing. I think it’s just the opposite. The smartest & most successful people & teams in the world know that constant & continual learning & coaching from other people who have succeeded will bring you much more success and faster. Having said that, it depends on who you ask and the attitude & confidence or OVER confidence that you take with you after whatever training you’ve done. Unfortunately, some bartenders who are fresh out of some kind of bartending school for mixology have an "I know it all now” kind of attitude. Bar managers & other working & experienced bartenders don’t appreciate it and may not hire you because of it. It’s not just annoying, it’s just not true. After you take any training course it’s a great start, or continuation of your learning, but you definitely still have A LOT to learn. We all do, no matter how many years we’ve been behind a bar. I’ve always wanted to be the guy with the most knowledge I could. I just felt that the industry, and what people want, is always changing so I should always be looking for new things to learn from all sorts of people & ways. I started my 25 year career at a basic 2 week bartending school. I’ve gone to seminars at trade shows, bought books, DVD’s, asked other bartenders etc. etc. Anything to give me an edge on how to be a bartender that attracts a regular crowd. A great thing about bar jobs is that there is instant notification if you’re doing a good job or not. Reflected in how much tips you make. Even if I can learn something that will make me $5 more in tips per night, that could end up being approx. $1,000 a year more ( depending on how many shifts you work ). Times that by a 10 year career behind the wood and you can see that a little bit of extra knowledge, can make a huge $10,000 difference over time. I can tell you straight up that after 25 years in the hospitality industry... All the things i’ve done, people I’ve trained, I am definitely still learning. A: The questions that many want to know is, how much do bartenders make? If I get a bar job will I make a bartender salary? A bartender salary only happens when you take on management duties as well and you may make less money. It's all about the tips. You can make anywhere from $20 per shift plus your hourly wage to $100 - $200 per shift. It can go even as high as $400 - $500 or more and everywhere in between. and you actually use what we teach you, You will definitely make more money. Seriously, $14.95 per month is nothing as a bartender. There are a lot of ways to make that… 3 people tip you $5. that you will make your money back tenfold and more. the more choices & opportunities you'll have. But, there are many factors involved. - Are you a bar back, bar porter or the bartender? - What bar job venue do you work at? - What type of bar/venue it is. - How good is the location of your bar? - How busy/popular your bar is. - Which pouring station or well you are given? - What other bartender/s you work with if you split tips? or a serving the guests directly bartender? - How do you compare to the other bartenders in your city? - How do you compare with the other bartenders in your own bar? ** And maybe the most important one…. - What level of skill, attitude & motivation YOU have. It’s easy to say that the bartender who makes the most is the one who works a really busy sat night shift. And that’s usually true. However, I have known lot’s of highly skilled bartenders who worked medium & even slow nights or days that, because of their overall excellence, made a whole bunch of money. Or, that bartender started on the slower shifts and built them up because people wanted to come back and be served by them. So, how much do bartenders make? A lot more in tips than on a bartender salary, and a lot more if you pick up a bartender book or 2 to continue learning. What are your thought on this subject? Becoming A Bartender. Why Do You Want To Be a GREAT Bartender? Becoming a bartender with barwoman Perri. Average servers work in average bar jobs, get average shifts, complain about everything, and make average money. What do you like about a bar job? Why not be average? Why make an extra effort? What benefits are there to continue your learning & bartending training? Have you found your passion in your work? When you were becoming a bartender, what have you personally seen or gotten because of a choice to continue to improve? What motivates you to care enough about the job and your life, to think about how you can be a better Bartender? …an exceptional Bartender? I believe that it is imperative to understand why we want to do something before we do it. This helps us to focus and do a good job. For example, did you know that dolphins are so efficient at finding food for themselves and their young that they have freedom from worry and can devote a large percentage of their time for just playing? Doesn't that sound great? That’s what I want to be, a dolphin. When I work a bar job, I want to be the best at what I do so that I’ll make the most amount of money in the shortest amount of time which gives me freedom from worry. give me job security, better shifts, raises, bonuses, flexibility of schedule and pats on the back, etc., all of which gives me freedom from worry. I also want to be the best at my job because if I ever choose to leave my present employer, I want other offers lining up the same day, which also gives me freedom from worry. The best have more fun, get better offers and more freedom. So, why not be the best? So, tell us the story of when you were becoming a bartender. Post Your Comments & Share Below.